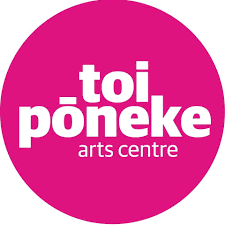 Celebrate NZ Dance Week at Toi Pōneke Arts Centre. 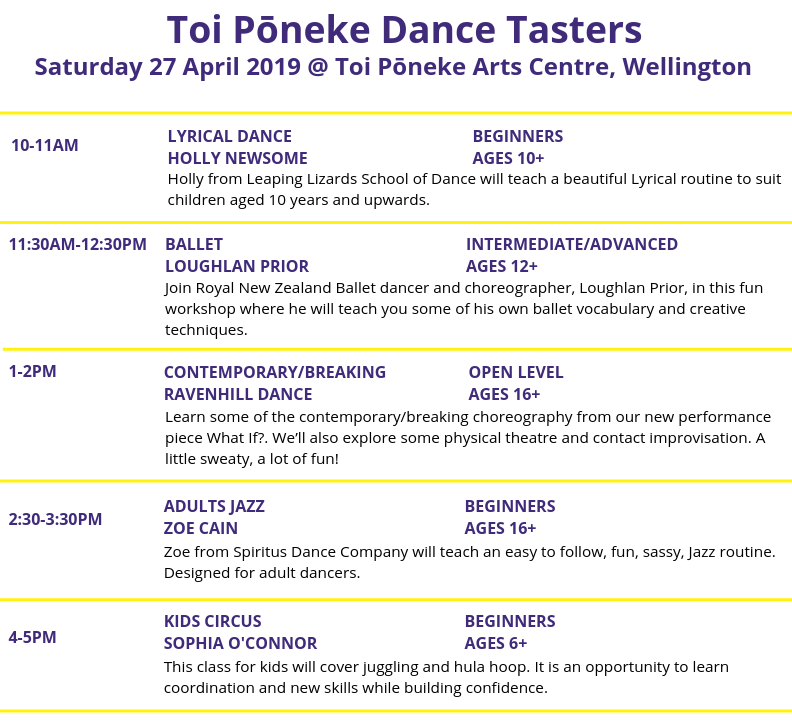 Whether you’re a dance aficionado, like to shake it at weddings and family gatherings, or have never even set foot in a dance studio; the Toi Pōneke programme of free dance/movement workshops has something for all ages and abilities. Head to Toi Pōneke to get a taste of an eclectic mix of dance forms - from ballet, to jazz, to breaking, to contemporary + more! This is an excellent opportunity to learn a few new steps and perhaps discover your newest passion. This programme is present by Dance Aotearoa New Zealand, with support from the Toi Pōneke Arts Centre, Wellington Community Trust, Sport New Zealand & Creative New Zealand. Original generation time 0.4113 seconds. Original generation time 1.4788 seconds. Cache Loaded in: 0.0006 seconds.